There is no doubt about it, social media has changed all of our lives for the better, and some might argue for the worse. But from a business perspective I can’t imagine doing business successfully and as lucratively without it. I couldn’t agree with Josh more, and no matter how much we might stomp and moan that social media is “all just too much to deal with”, it has a very important role to play in your plans to help a lot of people, and make a lot of money. 5 very positive ways social media has changed our business culture. 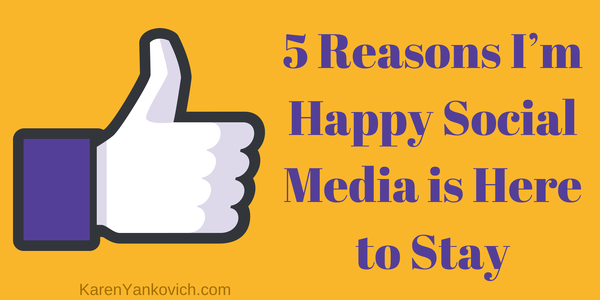 So today I want to focus on 5 very positive ways social media has changed our business culture. Social media has leveled the playing field for business. Just a decade ago there was no way (or a very very difficult way) for a solo-preneur to compete with any big business out there. David was no match for Goliath, period. But with the advent of social selling, accessibility, ease of marketing, email auto-responder campaigns, Facebook Pages, LinkedIn, and more, the ability to create, reach and sell has never been easier. Social media allows you to reach anyone in the world. Want to talk to Oprah? Just tweet @ her! Want to share your story with a Travel Magazine? Message their Facebook page! Want to find a group to test your product that is not from your country? Find a LinkedIn group or Meetup! More reach = more potential customers, it’s that simple. Social media allows you to work with AND keep in touch with anyone, anywhere. Find your perfect business partner on LinkedIn, no matter that you live in London and they live in the States. Follow up and engage easily with customers via email lists, membership sites, Facebook pages, Twitter feeds and more. Time zone is irrelevant when they can pop online and find YOU, and your products, accessible. You think your ideal client might live across the globe? That’s ok! There has never been an easier way to find them and reach them than social media in all forms. Social media allows your message to be known loud and clear. “The Catholic Church has 1.2 Billion users and so does Facebook, in just 10 years.” ~ article by Marco de Calva USA Today. Share your life and share your business message, almost like a diary, with a scope no one could EVER reach without social media today. It’s a record that shouts out who you are and why you are in business, a message that fosters trust and connection in a way that cannot be replaced for its reach and its (semi)-permanence. Social media supports sharing, collaboration, and provides a platform to establish your expert status. Imagine telling one person at a time why you were good at your job and why you knew what you knew? Imagine handing out your business card as the ONLY way for people to get to know you and believe in you. (Though I still believe in the old fashioned handshake and business card swap as a go-to during face to face meetings!) Imagine never EVER hearing from your competitors, your “lost” clients, and your fans for ways you could improve and change to better serve them. Imagine your resume the ONLY method for telling people what you were good at and why. Now let’s breathe a sigh of relief and be grateful that we DO have access to social media! With this in mind what is the first step you are going to take today to get started in leveraging the smorgasbord of business tools (aka social media) out there for you to use? Not sure where to start? Join my LinkedIn group and ask me!